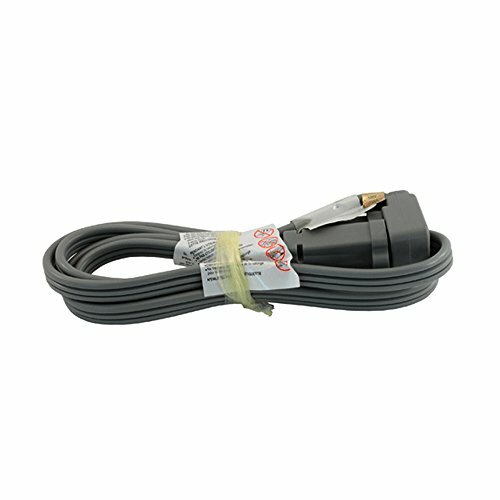 Electrix SPT-3 Heavy Duty 9ft 14/3 AWG Air Conditioner and Major Appliance Grounded Extension Cord Flat Cable UL by Electrix at Humble Opinion. MPN: EC1420. Hurry! Limited time offer. Offer valid only while supplies last. 14/3 125 Volt AC Extension Cord. 3 conductor heavy duty flat vinyl AC cord. Right angle male plug made of PVC. 14 gauge - 3 conductor SPT3 wire type. 14/3 125 Volt AC Extension Cord. 3 conductor heavy duty flat vinyl AC cord. Right angle male plug made of PVC. 14 gauge - 3 conductor SPT3 wire type. 15Amp 125 volt 1875W. Use with air conditioners, power tools and appliances. UL Listed Use with confidence. If you have any questions about this product by Electrix, contact us by completing and submitting the form below. If you are looking for a specif part number, please include it with your message.